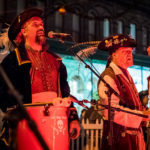 Even as Galveston’s world-famous Victorian holiday festival turns 45, the 2018 Dickens on The Strand continues to offer exciting new events and experiences for first-timers and returning guests alike. Friday night’s kick festival kickoff, held from 5-9 p.m., introduces new events as well as new takes on classic experiences. 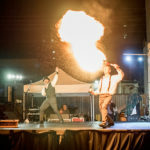 Fezziwig’s Beer Hall – Free Admission! 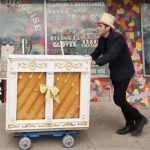 For those looking for a sneak peak at this year’s festival, the newly expanded Fezziwig’s Beer Hall might be the perfect Friday night destination. 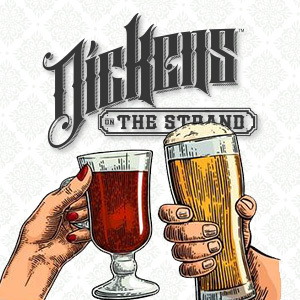 Free to the public and held on 22nd Street between Strand and Mechanic, Fezziwigs will feature live entertainment hearty ales and a specialty drink. Mr. Fezziwig was everything that Ebenezer wasn’t and this is sure to be a fun and lively start to the weekend’s activities. For those interested in learning more about the Strand National Historic Landmark District, a special St. Arnold’s Architectural Walking Tour will be available at 7 p.m. for $25. 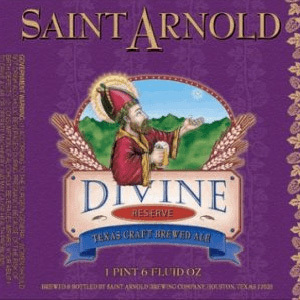 Kick off the 45th Annual Dickens on The Strand with a special tapping of their incredible Devine Reserve. Free while it lasts! Bring your best (and PG rated please) wordsmithing for your chance to win special Dickens items. First come, first served. This sounds like a lot of fun. So glad it’s FREE!! I spend most of my Christmas funds here every year and can’t usually attend any of the special events. I know the feeling. I’ve been to by far most Dickens since the second year when I was eleven years old (now 55), and don’t usually have the extra funds available to participate in many of the festivities. However, I’m more into the spirit of it this year, and have already started saving up for it. And for the first time ever I’ll be coming in costume, as a Victorian gentleman. I think I’m old enough to pass for one of those now, and I’ll have four months of gray beard by then that I might trim into mutton chops. I’m trying to rekindle the magickal feeling the festival had for me in my youth. I’ve now come to realize that means participation. I’ll even throw in a “jolly good show,ol’chap”,and a “bloody well right” sometimes, but probably with a Galveston accent. And about that costume. Us poor people get ours from http://www.amazon.com. Is this children / tween friendly? It is. There is also plenty of availability to walk the strand, see vendors that are setup early, etc. Absolutely!!!!! They have childrens choirs. It’s ALL family friendly!!! Will the sunset party on the Elyssa carry on if it is raining? Isnt it an outside event? What time does this start on Friday or are there other events that day? Fezziwig’s will be open from 5-9 p.m. The schedule of performers is on this page. Do people come in costume on Friday night? Or is that just Saturday and Sunday? Costumes are encouraged all weekend (even Friday)!